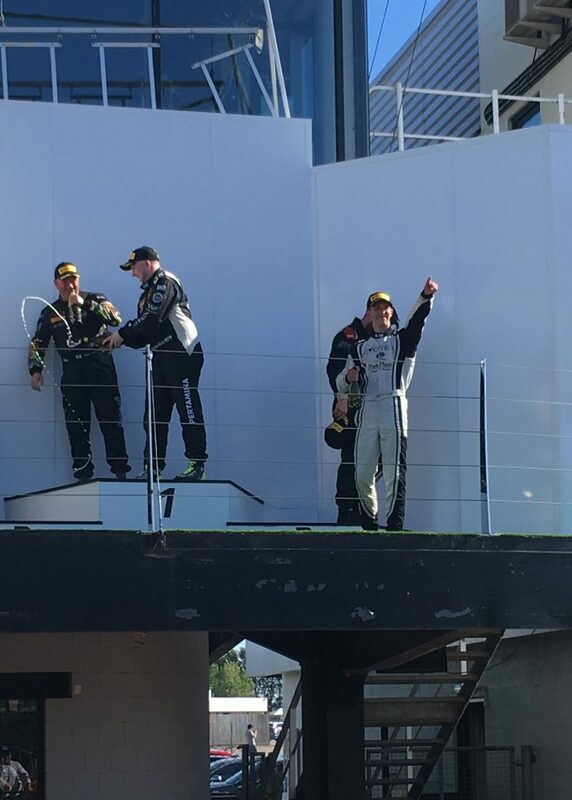 BEN WINS IN GT4 DEBUT!! 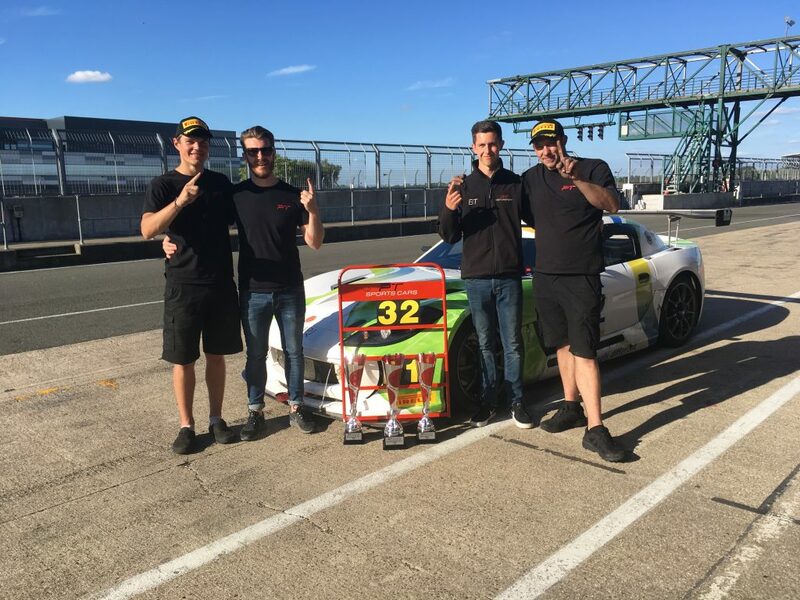 Ben Tuck began his GT racing career in some style at the weekend with a win and a 2nd place in his GT debut at the home of British motorsport, the iconic Silverstone GP circuit in Northamptonshire this weekend. 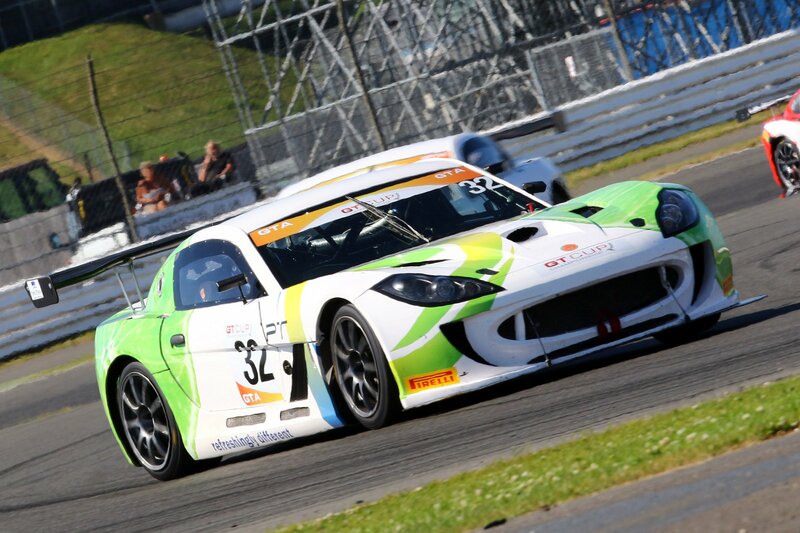 Driving a Ginetta G55 GT4 in the GTA class of the GT Cup Championship, Ben was partnered by his Caterham PT Sports Cars team boss and ex-GT Cup race winner, Ian Payne. Together across the weekend they scooped a 2nd place each in the sprint races and took the win in the longer pit stop race. The weekend represented a big step in Ben’s career, his first opportunity to benchmark his ability among a seasoned grid of GT racers, including professional drivers, and his first experience of slick tyres and aerodynamically assisted cars. After a successful practice day, Ben did not disappoint. With new tyres fitted for qualifying, Ben was able to lap at top pace, bettered only by GTA classmates enjoying faster spec cars, taking 2nd in the GTA class by the flag. “Quali was great, the car was good on the old test tyres but on new rubber it was fantastic. It gave me all the confidence I needed to push and I got the hang of where I could rely on the downforce pretty well” said Ben. 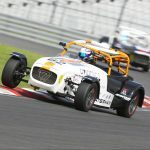 “The G55 is a car that really rewards you and I just kept building in confidence as the session went on”. There is a huge amount to learn about the car and how it handles on the edge, with the brakes and the slicks so I was still being careful. I’m learning where the edge is, but I know there is lots more pace there”. The GT Cup runs a 3 race multi-class format, with two sprint races on Saturday and a longer race on Sunday featuring a driver swap halfway through. Four classes race on the same grid, from Ben’s GTA class for GT4 spec machinery all the way up to the GTO Open class featuring no holds barred supercar monsters. The team elected to have Ben take the first of the sprint races, starting as the 2nd of the GTA class cars at the rolling start, something Ben had not experienced since his karting days. At the start, Ben safely negotiated a first corner shunt amongst the faster classes ahead. From then on Ben pressured the GTA leader for the top spot. On lap 6, just as Ben was about to make a passing move into Brooklands, the safety car board was held out. The ensuing safety car period destroyed the 5 second gap Ben had pulled on the 3rd placed GTA. But at the green flag, Ben began to ease the out the gap again, applying more and more pressure to the man in first. At the chequered flag Ben was still right behind the leader to take 2nd place in his first ever GT4 race. “The car is going great” said Ben after the race. “We’ve done nothing at all with it set up-wise but it feels good. We had a great battle and I was on him all the way. Once or twice where he went wide and we nearly had him”. Ben’s team mate, Ian Payne piloted the PT Sports Cars G55 in the second sprint race. In a similar performance, Ian snatched second place at the start and built up a commanding and unassailable cushion over the 3rd place car, whilst the leader in a new spec machine had the legs to ease away. A consistent and mistake free run gave the PT crew their second podium of the weekend. Sunday dawned bright and qualifying for race 3 saw Ben post a 4th fastest GTA time, his pace slightly compromised against the new tyres many of his competitors were running. The team elected to place Ben in the car for the first stint for the main pit stop race. On the first lap Ben moved up a place at the Village complex. By lap 2 he’d outbraked the number 10 Ginetta into Stowe corner to put himself up to 2nd place in the GTA race. On lap 5 Ben pounced on the leader after he made a mistake battling with a GTC class Porsche and overtook to gain the lead. After that Ben hammered in the lap times increasing the gap to the second placed car. The team left him out as late as possible, with his times consistently fast. Eventually he pitted on lap 15 and handed over a commanding lead to his team mate, Ian Payne. By this time on very worn tyres, Ian expertly nursed the car safely to the finish and a superb debut win for PT Sports Cars and Ben Tuck in the GT Cup.